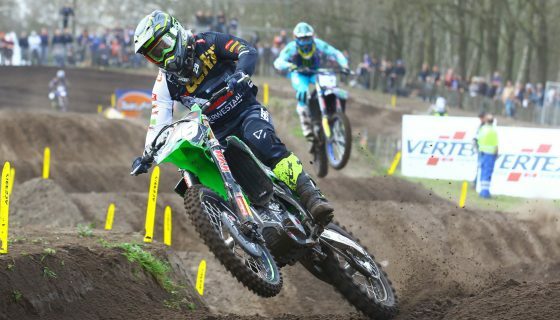 MXGP All Set for Assen. 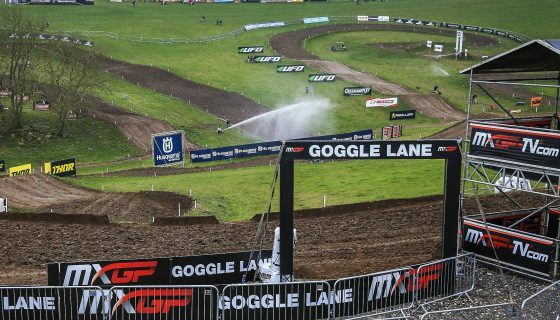 The FIM Motocross World Championship has reached its penultimate round at the MXGP of the Netherlands in Assen this weekend. 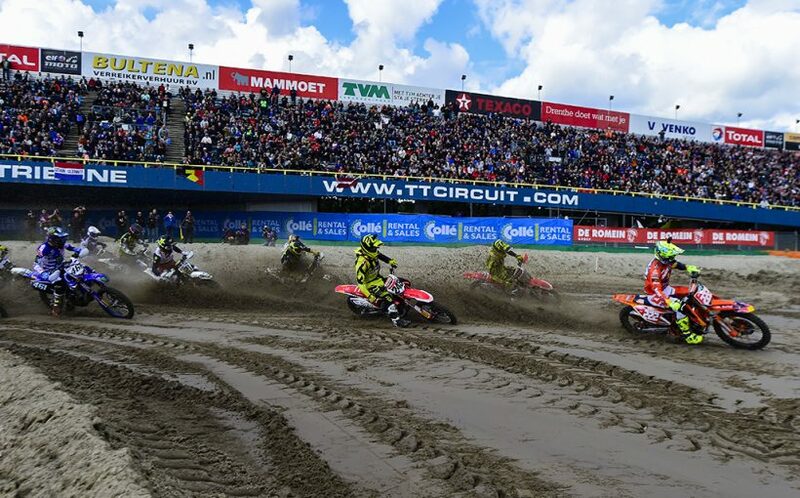 The Dutch TT circuit has been transformed into a Motocross Championship venue full of sand. Last year’s Dutch motocross fans witnessed the MXGP Championship being decided as Red Bull KTM Factory Racing’s Antonio Cairoli took his 9th World Title. This year however the crowd is hoping to see their fellow Dutchman, Jeffrey Herlings, take his first ever MXGP title on Sunday. 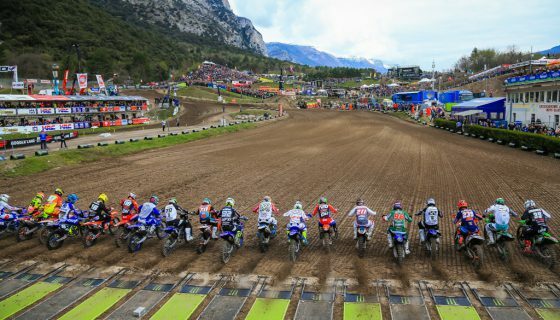 Joining the World Championship classes of MXGP and MX2 is the Women’s Motocross World Championship and the European Championships of EMX125 presented by FMF Racing and EMX250. In the fight for the Women’s title is MXFONTA Racing Syneco’s Kiara Fontanesi and the Netherlands’ Nancy Van de Ven after Yamaha has announced the Altherm JCR Yamaha’s Courtney Duncan, who leads the points by 21, will not compete in the remainder of the season due to a foot injury. In the class of EMX125 presented by FMF Racing MJC Yamaha’s Thibault Benistant has a 33 point lead over the injured KTM Junior rider Rene Hofer, and another 6 over Mattia Guadagnini. 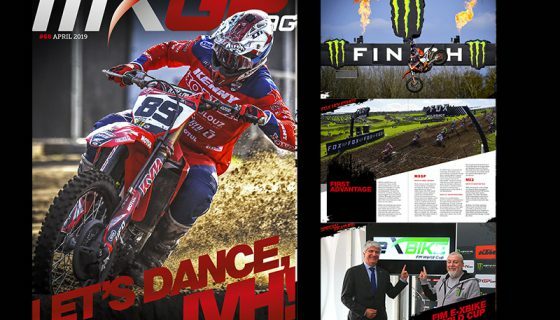 While the EMX250 championship was wrapped up in Bulgaria by Honda RedMoto Assomotor’s Mathys Boisrame several other riders are looking for a race win to end their season. Red Bull KTM Factory Racing’s Jeffrey Herlings has a massive 95-point lead over his teammate and 2017 World Champion Antonio Cairoli. Only 100 points remain on the table this season and Herlings is positioned better than ever to not only claim his first ever MXGP Championship but to do so in Sunday’s Race 1 and in front of his home crowd. Cairoli is not one to give up the fight but is also one of the most experienced and patient riders in the world. Rebounding from one injury to another throughout this year Cairoli comes to Assen with the memories of 2017 when he claimed his 9th World title here. 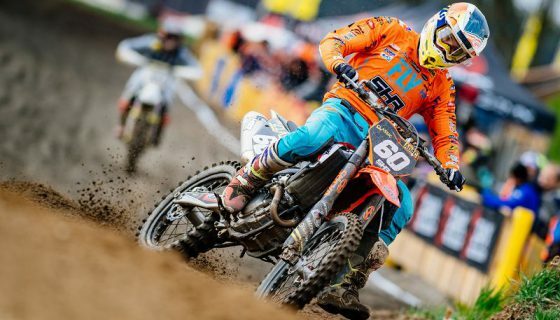 Cairoli will be one to watch and see how he performs after a difficult MXGP of Turkey 2 weeks ago where he left with a new injury to his right hand. MX2’s championship fight has been building between the Red Bull KTM Factory Racing rider of Jorge Prado and Pauls Jonass. The young Spaniard and the defending World Champion from Latvia have been on another level this year but a collision in Turkey has brought new fuel into the fire. With two weekend of racing remaining it is anyone’s guess who will be crowned champion. Prado is the statistical favorite this weekend after winning here last year and taking third in 2016 as a rookie. Rockstar Energy Husqvarna Factory Racing’s Thomas Kjer Olsen has the 3rd spot in the championship standings and won on sand earlier this season in Latvia. 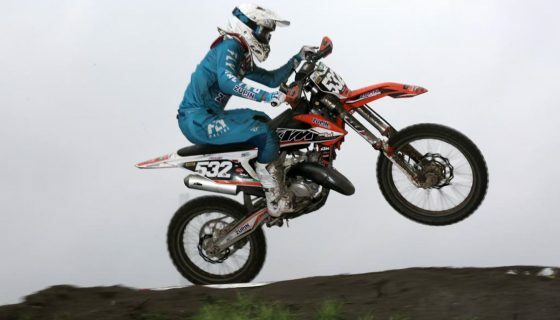 Olsen and his teammate Thomas Covington have both been fast and fighting for wins but struggled with consistency. Covington found the winning combination last round perhaps it is time for Olsen to do the same this weekend? Olsen has two 5th place overall results coming from here in 2016 and 2017 while been in the top ten but never the top 5 on the circuit. Kemea Yamaha Official MX2 team’s Ben Watson has been working to find the right set up on his new 2019 Yamaha. Work appears to be going in the right direction however as he put in one of the fastest lap times at the MXGP of Turkey. Watson’s Kemea Yamaha Official MX2 Teammate Jago Geerts will also line up at home this weekend after missing the last three rounds of racing with a broken collar bone.